When investing in something new for our home, whether it is furniture, some kind of an appliance or new floors, we always try to find the best value pieces for the money we pay. In this article, my focus will be on the different styles of flooring options for bathrooms and the related things you should know. Since it is one of the most frequently used rooms in the home and there is a lot of heat and moisture, it’s of main importance to install a bathroom flooring that will withstand all these elements. When looking for the best flooring options, there are few important factors that must be considered: cleanliness, visual appeal, durability and cost. 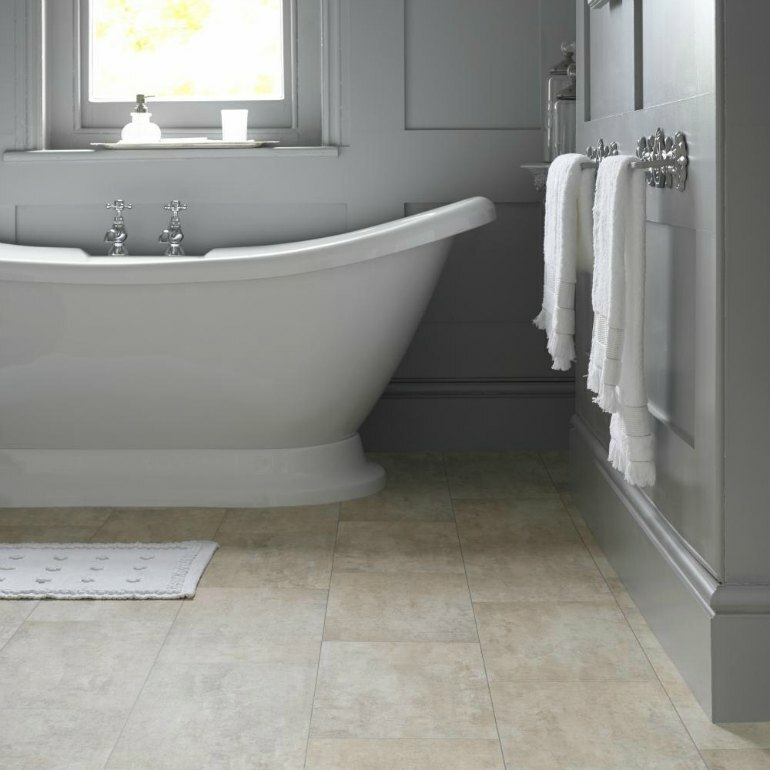 So, if you are in the middle of designing your new bathroom or redecorating your old one, you are in the right place – take a look at the best bathroom flooring styles and trends. Vinyl flooring – Lovely, durable and inexpensive, these are the words that perfectly describe vinyl flooring for bathrooms. This type of flooring can withstand a high amount of traffic and moisture, it’s easy to maintain and clean and it is also comfortable to stand and walk on. Vinyl flooring for bathrooms comes in three basic types: tile, sheet and plank. If you have a big family with kids, sheet vinyl floors are your best bet as they can handle high traffic best. If you are considering vinyl tiles, you can select from those that mimic ceramic tiles or natural stone. They are also easy to install, so if you feel like you can do it, you might as well install them on your own. If your final decision is to go with vinyl, prepare yourself to get lost in the vast sea of different patterns, styles and finish options. Take your time and consider what will fit your bathroom best. Ceramic tiles – Ceramic tiles are timeless – they are another cost-effective flooring option for your bathroom that is sturdy and waterproof. The best thing about them is that they can be easily changed. For example, if you accidentally break a tile, this does not necessarily mean that you will need to change all of your bathroom flooring; you can change the broken one only without a problem. Ceramic tiles are designed to adapt to any bathroom décor. You can find them in a wide range of textures, colours and prices. Laminate – The thing about laminate is that it looks like wood but it does not feel like that. When walking on a laminate floor, you will notice a sound that makes the material feel fake and manufactured. However it’s still one of the trendiest choices for bathroom floors because it can mimic a lot of different natural hardwood materials, it’s versatile, looks great, it’s affordable and easy to maintain. The biggest issue with this type of flooring is that it can’t be refinished. This means, if somehow you damage the floor, you need to replace it.